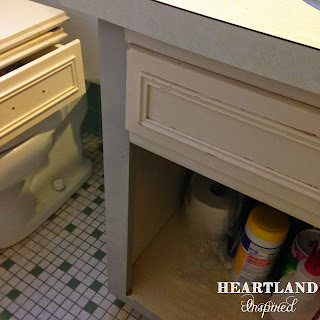 Ugh....this bathroom vanity was gross! 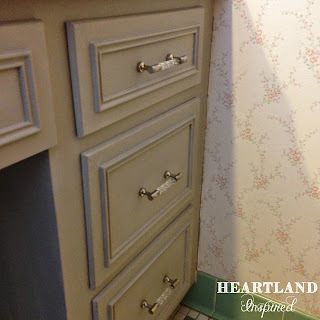 Peeling paint, yucky hardware, blah color. Nothing was good about it. But it was also the easiest thing to remedy. This green-tiled bathroom doesn't have a lot going for it, but the tile color is manageable and it is all in really good shape. Any updates or major overhauls to this bathroom will be in the distant future. 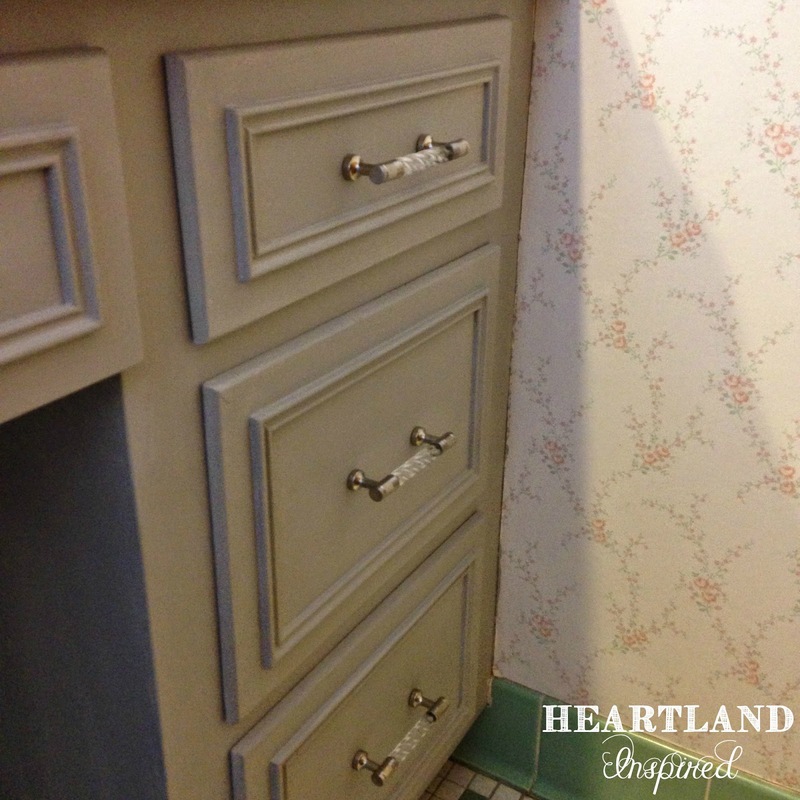 Enter my cousin and Annie Sloan Chalk Paint. She has lots of experience working with the paint. 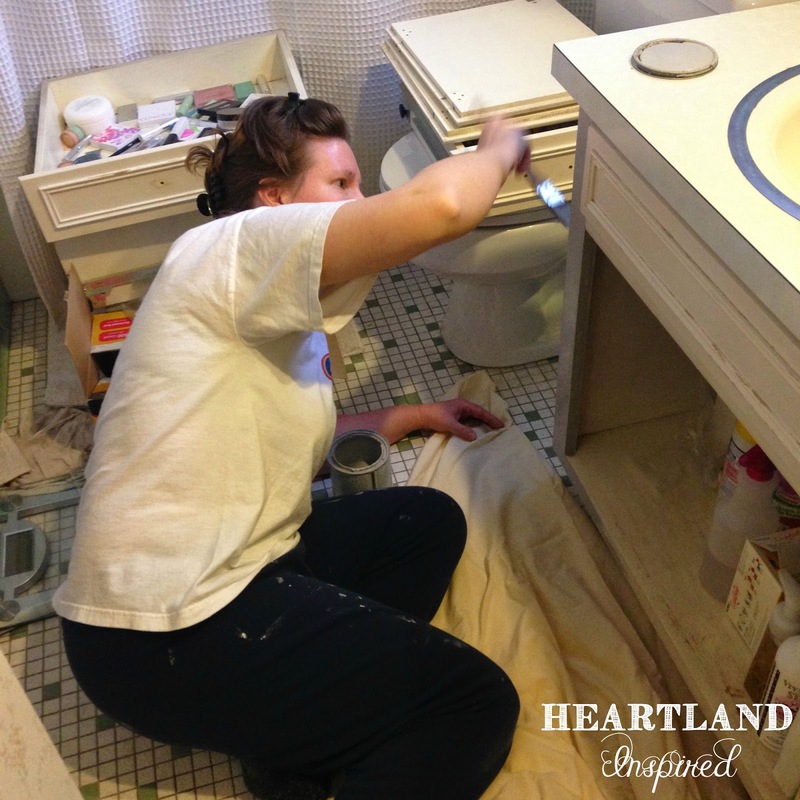 On a trip up north, she offered to pretty up my vanity. I was thrilled to pieces. I have a vision for this bathroom even in its interim state. Because the green is an okay color, it can still look nice and not dated. I knew I wanted gray. It would work well with the green tile. This bathroom is also pretty dark. There is only one small window and the lighting isn't that great, so going dark was not an option. 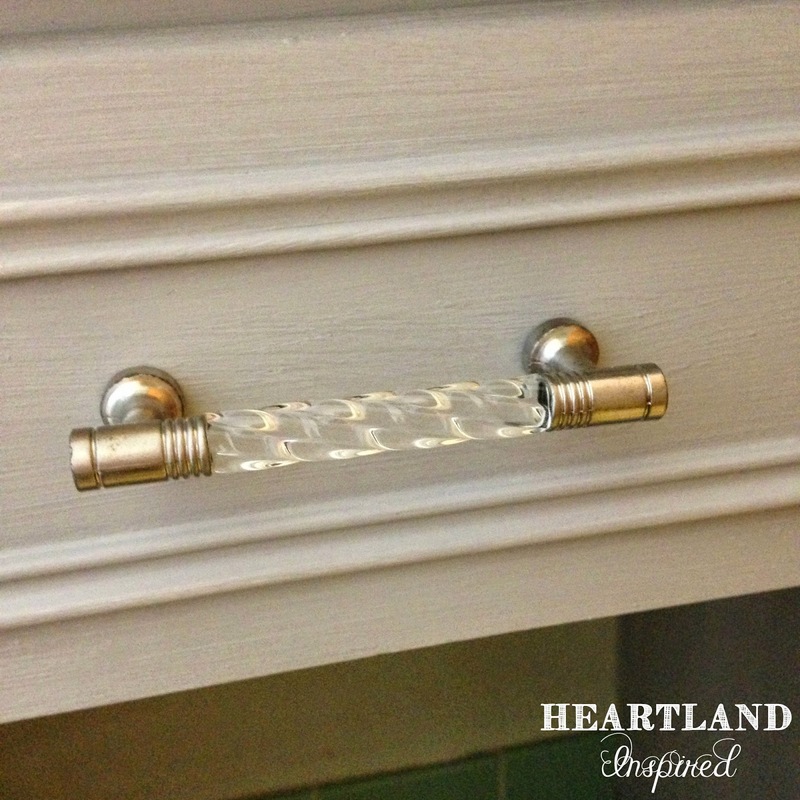 To glam up the vanity, I used acrylic and brushed silver hardware. 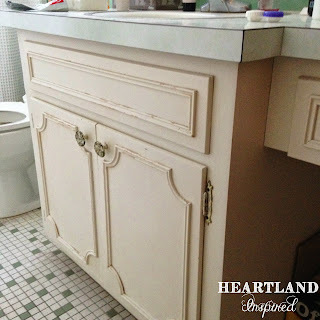 I really like it and it doesn't weigh the vanity down. It looks so much better than the chipping hardware that previously lived on the drawers. This room still needs some attention - see the lovely floral wall paper. 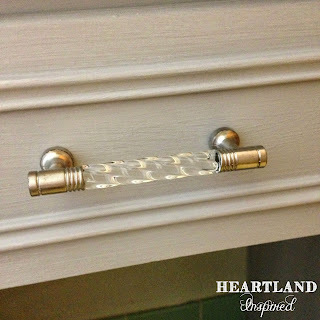 But this one fix made a huge difference in making the vanity a little prettier.